Rekkles is back, and he’s out for blood. To many, the EU LCS Summer Split semifinals are a lopsided contest. Why? Because the best teams in the region are tucked to one side. And today, those teams will battle to determine who competes in the finals at Madrid next week. In one corner, we have Misfits, the team that plowed through all competition at the start of the split, reaching an intimidating 9-0 record by the midway point. Fnatic, however, are the team that knocked them from their pedestal, handing Misfits their first loss and sending them into a downward spiral of losses. Fnatic are certainly the favorites heading into today’s bout, but Misfits have surprised us before. Here’s the game-by-game breakdown of the best-of-five series, updated live as each game concludes. 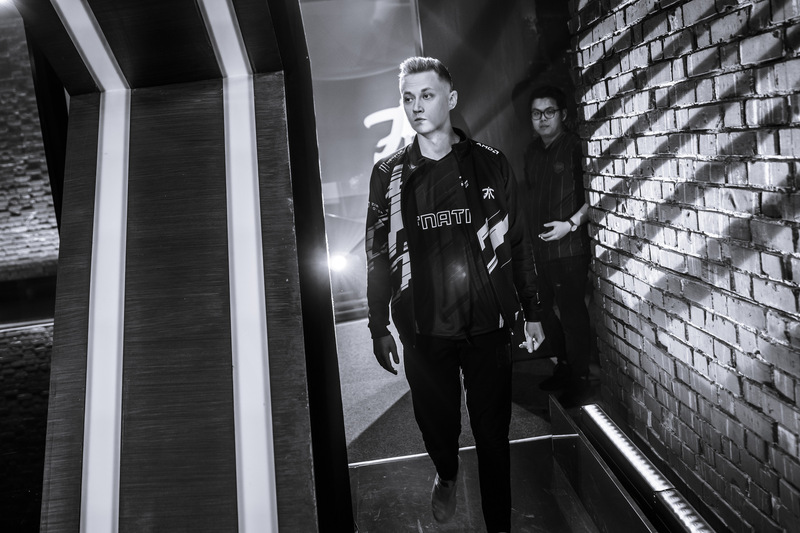 One of the biggest concerns about Fnatic heading into this weekend was whether legendary bot lane carry Martin “Rekkles” Larsson would be able to compete on the same level as he did in spring. He put those fears to bed using his signature Tristana, hopping forward into the enemy line to pick off unsuspecting Misfits before hopping away again, perfectly capable of his champion’s limitations and capabilities. Thanks to Rekkles and a terrible draft from Misfits, Fnatic picked up the first win of the series. Game two was a very different match for Misfits, although it was similarly back-and-forth early on like the first round. Here, Misfits didn’t have a deadweight champion in the jungle, and Nubar “Maxlore” Sarafian had a real impact on his laners. Misfits showed us a glimpse of their play from earlier this split by playing fast and aggressive. And eventually, they routed Fnatic off the map to even the series. The third game was all about Misfits punishing Fnatic for picking two late-game carries—Sivir in the bot lane and Vayne in the mid lane. Glossing over the fact that there was a mid lane Vayne, Fnatic were outmatched by Misfits’ aggression all throughout the game. And then in one fight at the end, Rasmus “Caps” Winther’s Vayne caught out the Tristana in a miracle Condemn, and Fnatic pushed all the way through Misfits’ mid lane to end the game. Game four went just about the same as game three, in that Fnatic spent most of the game at a deficit. The difference, this time, was Caps. Rather than wait until the last possible second to land the kill his team needed, he just got really, super, ridiculously fed right away. His LeBlanc provided the pressure that Fnatic needed to stay in the game, and by the end, Rekkles’ Sivir was fed enough to punch through Misfits’ frontline, too. With this win, Fnatic will move on to the finals to face Schalke 04.